Prime Minister Narendra Modi Saturday launched a number of central government projects in Odisha worth more than Rs 4,500 crore. The projects were unveiled during Modi's second visit to the eastern state in less than a fortnight. He had unveiled some projects in Bhubaneswar and addressed a BJP rally near the historic Khurda town on December 24. Describing the projects as a new year gift to the people of Odisha, the prime minister expressed hope that 2019 will steer the state on a path of rapid development. The projects inaugurated by Modi are related to road highways and transport, petroleum and natural gas, railways, culture, tourism and passport services. Some key projects include four-laning of three major national highways in Odisha, laying of a section of a key LPG pipeline and doubling of an important railway line. 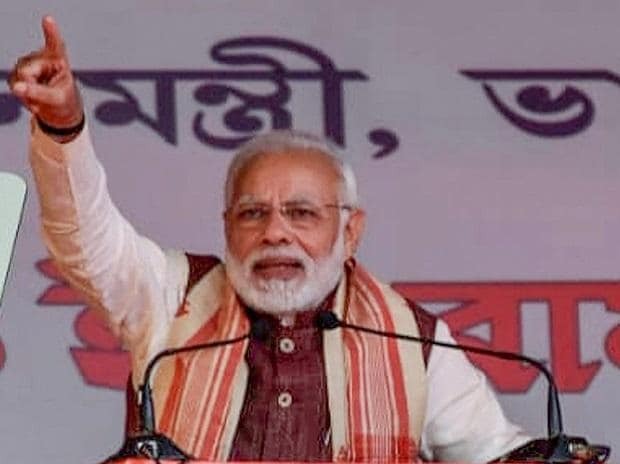 The prime minister also flagged off a new passenger train on a route, unveiled multi-modal logistics hub in Balasore as well as a project for restoration and conservation of historical site of Haripurgarh. Modi also inaugurated passport sewa kendras at post offices in Bhadrak, Cuttack, Jajpur, Aska, Keonjhar and Dhenkanal through video conferencing. Currently, people have to go to the regional passport office at Bhubaneswar, officials added. Foundation laying and inauguration of a host of projects by the prime minister comes ahead of general election, which is due in a few months' time. The assembly polls in Odisha are also slated to be held simultaneously with the Lok Sabha polls. During his last visit to Odisha on December 24, Modi had unveiled a number of projects worth more than Rs 14,500 crore.